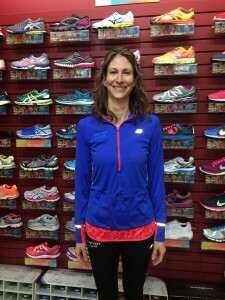 Home › About › Ambassador Racing Team › Christina E.
Running Highlights : 2012 Women's Half Marathon in Bloomington, MN - My mom met me in Minneapolis for a fun girls weekend. I ran the half and she walked/jogged her first 5K. She placed 1st in her age group! It was really neat to share that racing experience with her. 2013 Kansas City Marathon - I have never enjoyed a marathon as much as I did KC! There's just something special about running in my hometown. KC people have big hearts and it showed! There were some technical difficulties during the National Anthem - when the sound completely cut off, all the runners stood firmly in the cold and proudly picked up where the singer left off. Everyone was just so friendly and encouraging during the race. I made it a point to really be present and to try to enjoy every minute of it. Despite the hills, I ran my best marathon yet - I just soaked up all my favorite sights and that awesome KC sunshine! And of course there's nothing better than BBQ at the finish! Favorite Training Method: With a group! I love having company on my long runs and really look forward to Saturday mornings! During the week, I normally do a few shorter runs, strength training, and occasionally yoga/Pilates. I've learned not to beat myself up if business travel, etc. causes me to modify my training plan. It's important to have a plan, but realize that sometimes life gets in the way and you may need to be flexible. Favorite Training Song: I only listen to music when I'm running on the treadmill. I dread running inside, especially in those tiny hotel "gyms". I need something to keep me going, so my iPod is loaded with 80's and country music! My favorites include Living on a Prayer (Bon Jovi), Let's Hear It for the Boy (Deniece Williams), Hit Me with your Best Shot (Pat Benatar), and Redneck Girl (Bellamy Brothers).